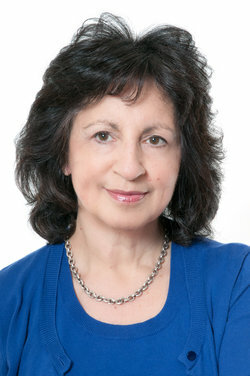 I am a chartered clinical psychologist available for private consultation in Barnet (accessible from Finchley, Golders Green, Hendon, Mill Hill, Hampstead, Highgate and Muswell Hill). emotional difficulties including low mood, anxiety, low self-esteem, difficulties with relationships, or a tendency to use unhelpful behaviours such as overeating, or undereating, drinking too much or smoking and obsessive compulsive habits as ways to deal with stress and manage emotions. I also work with people who struggle with issues around body image, excess weight or obesity; or who are considering bariatric surgery to help them manage dietary change and would like some support along their journey. Everyone experiences difficulties in different ways: so no list can include every possible issue or problem; and while some people know exactly what it is they need help for, others will want to have an initial discussion or session in order to clarify what troubles them and to think about the changes, if any, they want to make. I can help you to look at some options for change and work out ways to find new directions as an alternative to treading the same, well worn and familiar, but not always helpful, paths. I have over thirty years’ experience of working with a wide range of emotional and behavioural issues in a variety of healthcare settings, including emotional and physical health and primary care (in GP practices), both in the NHS and privately. In addition, I have specialised in offering psychological therapy to people with concerns around overeating and binge eating, undereating, shape, weight, and obesity for over twenty years; for twelve years I worked as a service lead in an NHS specialist community eating disorder service. My approach to therapy is broadly cognitive behavioural but I see myself as an integrative therapist. This means that I draw on a combination of several approaches to inform my work based on my experience and psychology training; and I am constantly working to incorporate new ideas about treatment into my work. I have trained in EMDR (Eye Movement Desensitisation and Reprocessing) and sometimes use this in addition to other therapy where talking about change and trying out new strategies may not always be enough to help change longstanding emotional reactions to old, sometimes traumatic, memories and habits. My aim in offering therapy is always to offer a treatment that fits with what we know is most effective in each case; and to help clients to learn ways to create changes for themselves, so that they can work towards becoming their own therapist or coach in the shortest possible time. The New Year is often a time when we think about change, make resolutions and reflect on where we would like to find ourselves over the next few months. So often, we look back and wonder where the time has gone since the previous new year, when we sat in the same place, perhaps making similar plans and promises to ourselves. Of course, we all know that it is easier to think about making changes than to carry them out, and however much we may want to make a change, forge new paths for ourselves and live life differently, finding a way to make changes is no easy task. A major part of my role is to work with clients to help them describe and understand the difficulties they are experiencing and explore what keeps the difficulties going. The next step is to discuss possible ways to change and what the options might be for achieving change. Some people find that it is enough just to understand more about how a problem has arisen and what keeps it from improving on its own. This can give them the 'push' they need (in the nicest possible way!) to make changes for themselves, without further outside help. Others decide that they would like to consider a programme of therapy to help them in the process of change. I am registered with several of the major health insurance companies and fees may be recoverable for people who are insured. Clients should check with their provider for more information. I have extensive experience of teaching and training. My publications include three books on eating disorders and dieting. My most recent book, "Therapy for Eating Disorders" (SAGE) was published in 2014 in its third edition (for more information and reviews see here; and in 2015, I made some short educational films for Sage publications' Counselling and Psychotherapy collection on the subject of eating disorders. My first two books were republished by Routledge in hardback in summer 2014 and are now also available again in paperback. Much of the content of "Tomorrow I'll be Slim: the Psychology of Dieting" continues to be just as relevant today as it was when I first wrote it - in a world where food is becoming ever more tempting and available while all the time we are under increasing pressure to look fit and trimmed. There are two German paperback editions; and the book has also been translated into Romanian, published by Editura Trei of Bucharest. I am available for teaching seminars on eating disorders and weight concerns for professionals and for the general public. Last autumn, I ran a new one day workshop on the psychology and treatment of obesity for the British Psychological Society. Recently I gave a talk to a local diabetes support group - there followed an interesting discussion around the issue of diet and how best to take care of ourselves which can become emotive topics for any and all of us in a world where food, both healthy and unhealthy, is so much in abundance . I can offer workshops or informal discussions for small groups of people who want to explore issues around weight problems, obesity, overeating and undereating and ideas about how to tackle them, and the impact on us of an increasing preoccupation with weight, food, shape, obesity and fitness. This kind of discussion can be helpful in a range of settings - in social groups, health clubs, slimming organisations, the workplace, or in schools; and either in the form of one-off meetings and discussion groups or as ongoing weekly sessions. Do browse my website to find out more about my experience and what I offer, and you are welcome to contact me by email or telephone with an enquiry. I will be happy to have a brief telephone discussion about whether I am able to help with a range of emotional problems, or an eating disorder. My practice is accessible to people living in Barnet (Finchley or Golders Green), Hampstead, Highgate, Muswell Hill, Hendon, or Mill Hill. The answer phone on my dedicated private office landline is switched on when I am not in the office or am unavailable, but please do not be put off - if you leave a brief message with your phone number, I will call you back as soon as I can.